... for Students and Teachers! The VT-2004 programme is aimed at students and teachers in schools all over Europe, indeed on all continents. The fact that Venus transits are so rare - the last one happened in the year 1882 - makes all of us extremely privileged to witness one this year. It is a unique opportunity for young people to witness a celestial phenomenon that most will never again see in their lifetime and which their children will most likely never see. Do not miss this chance! It would be a real pity not to "participate" in this great event in some way, either individually or as a group (schoolclass). a series of Educational Material (at different levels) with suggestions for class activities in connection with the transit (see below). Some of this material is available in various languages at the websites of the VT-2004 National Nodes. the Kids' Area (7 - 11 years) with interesting text and pictures about the Venus Transit. the possibility to submit a drawing for the VT-2004 Gallery and to win a VT-2004 T-shirt . the Photo Gallery - submit your own photo and maybe it will become Photo of Day" on the front page!. an invitation to participate in the VT-2004 Observing Campaign and to take part in the unique, joint measurement of the distance between the Earth and the Sun - see the details here). For this, the observers must register officially with VT-2004 programme. the opportunity to join the VT-2004 Video Contest and possibly to win one of the attractive prizes. Whatever you choose to do, we wish you much fun and not least, clear skies where your are at the time of Venus Transit on June 8, 2004! Students and Teachers who would like to perform observations of Venus and the Sun are invited to study the webpage on "How to Observe". It includes detailed "Guidelines for Observers" that have been written specifically for school classes. It will add a whole new dimension if you decide to participate in the VT-2004 Observing Campaign. This means that you must register before with the VT-2004 programme and then deliver your observations during the Venus transit event. This is not difficult - you will find clear instructions via that page. There is also an opportunity for the more advanced to employ the VT-2004 VT-2004 easy-to-use image processing facility. TV-film about school observations etc. Of particular interest will be a preview of the first part (about 1/3) of the 28-min TV-film about the Venus Transit and the VT-2004 programme, now available here; it concerns observations of the transit and the involvement of school students and their teachers . The film is now in the final production stage in the Czech Republic and the preview may be downloaded from this website [MPG - 83.4 Mb; 11 min; English version], together with an English transcript [Word - 40k and [PDF - 80k]; and also from the special page at the website of the VT-2004 Czech Node. 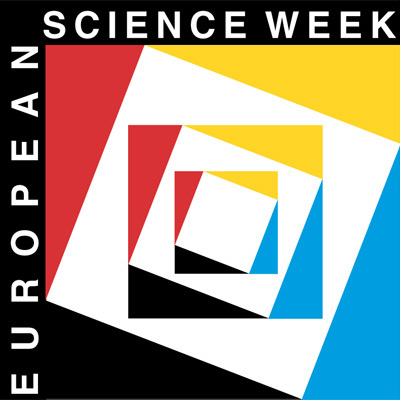 The European Association for Astronomy Education (EAAE) has prepared a special easy-to-use Teachers' Guide ( Word, 160 k; PDF, 95k) for busy teachers who would like to introduce their students to the VT-2004 event but have little time to spare, both in preparation for this and in class. Here is an overview of the Educational Material that is now become available within the VT-2004 programme. It has been prepared for different study levels in a joint effort by teachers from different European countries. While the material at this central VT-2004 website is all in English, information about the Venus Transit suitable for students and teachers in other languages is now available at the websites of several VT-2004 National Nodes. It may also be useful to look at the comprehensive Students' and Teachers' Mercury Transit page, as well as the related Short Notes where much information is available in many different languages. A series of Educational Sheets has been prepared with suggestions for class activities before and during the Venus Transit. They have been classified in three levels (1 to 3) of increasing complexity. EduSheet 1: "Why does the Transit of Venus occur rarely and with a special rhythm?" EduSheet 2: "How the Transit of Venus can be used to determine the Earth-Sun distance"
EduSheet 3: "How to Calculate the Earth-Sun distance from the Transit of Venus"
EduSheet 5: "An approximate method for the calculation of the parallax (with examples)"
Various animations to illustrate the Venus Transit are also available. Links to other animations and also found on this page and via the Links' page. If you have questions in connection with the VT-2004 Educational Materials , please do not hesitate to contact the organisers via email at vt-2004@eso.org.